Don’t Compete with the Summer Heat! Enroll in the O’Brien HVAC annual maintenance program to make sure your air conditioner keeps you cool this summer. 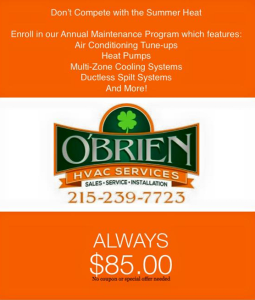 Our air conditioning maintenance program for just $85. 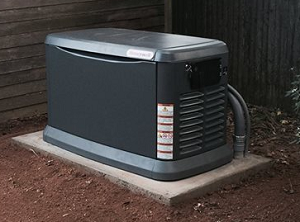 It includes: air conditioning tune-ups, heat pumps, multi-zone cooling systems, ductless split systems, and more! Call us at 215-239-7723.